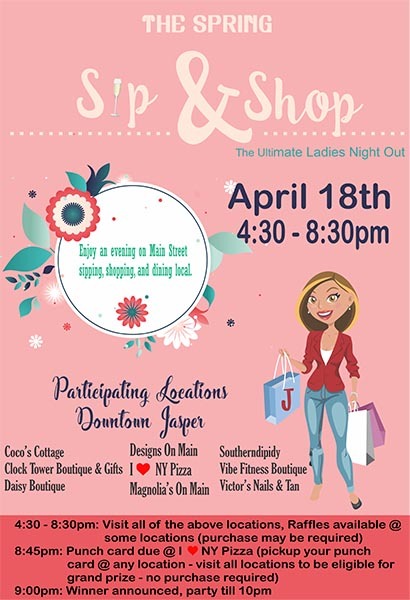 Description: 壟 Sip & Shop on Main Street in downtown Jasper, Georgia on Thursday, April 18th from 4:30-8:8:30 pm. Pick up a punch card at any location. Visit all locations to be eligible for a GRAND PRIZE (no purchase necessary). Winner announced, party until 10 pm at I Love NY Pizza & Bar.